EJIL: Talk! – SAS v France: Does Anything Remain of the Right to Manifest Religion? Home EJIL Analysis SAS v France: Does Anything Remain of the Right to Manifest Religion? SAS v France: Does Anything Remain of the Right to Manifest Religion? 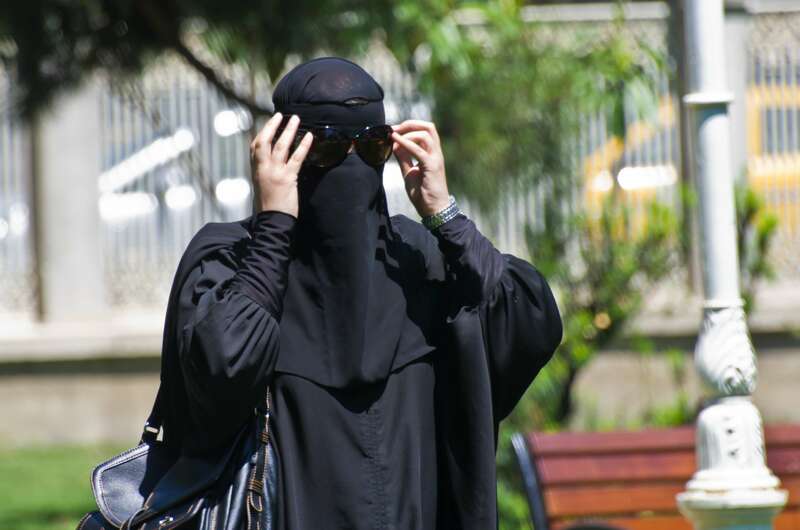 In SAS v France, the applicant challenged the French Loi no 2010–1192 interdisant la dissimulation du visage dans l’espace public of 11 October 2010, JO 12 October 2010 (herein after the ‘burqa ban’), which prohibits the covering of the face in public. The case differs from previous cases concerning the right of Muslim women to manifest religion by wearing religious attire, as the law imposed a blanket ban which extended to the social sphere. The applicant argued that by preventing her from wearing the burqa the ban violated her rights under articles 3, 8, 9, 10, 11 and 14 ECHR. The ECtHR completely dismissed her claims under articles 3, 10 and 11 ECHR, and focused its attention on articles 8, 9 and 14 ECHR, with a notable emphasis on article 9, the right to freedom of religion or belief. The ECtHR’s judgment in SAS v France, for the most part, is balanced, well-reasoned and provides a thorough consideration of the French government’s justifications for the restriction of the applicant’s right to manifest her religion: public safety and ‘respect for the minimum set of values of an open and democratic society’. The latter category comprises three separate elements: gender equality, human dignity and ‘respect for the minimum requirements of life in society’ or ‘living together’. Whilst public safety is found within articles 8(2) and 9(2) ECHR, as noted by the ECtHR, ‘respect for the minimum set of values of an open and democratic society’ does not correspond with any of the permissible limitations on article 8 and 9 ECHR (paras 116-7). Consequently, the ECtHR interpreted this justification as falling with the broad ‘protection of the rights and freedoms of others’ (para 117). Neither Dahlab (a teacher) nor Sahin (a medical student) conformed to the idea of Muslim women as victims. Yet, in thesecases, the ECtHR accepted that the hijab was contrary to gender equality, and disregarded the meaning attributed to it by the applicants. This position both patronised the applicants and essentialised Islam as a religion that discriminates against women. By refraining from analysing the applicant’s choice of religious attire in SAS v France, the ECtHR has avoided repeating these errors. It is contradictory that the ECtHR has been willing to accept that the hijab is contrary to gender equality but not the burqa. Nonetheless, this is a welcome development in the ECtHR’s jurisprudence and it is to be hoped that SAS v France signals the end of the ECtHR making sweeping value judgments about items of religious clothing. Thus, rather than adopting an essentialised view of Islam, the ECtHR recognised that pluralism entails the recognition of different perspectives. While gender equality and human dignity were not found to be legitimate aims pursued by Loi no 2010–1192, public safety and ‘respect for the minimum requirements of life in society’ or ‘living together’ were (para 115, 121-2). Consequently, the ECtHR went on to consider whether the restriction on the applicant’s freedom of religion was ‘necessary in a democratic society’ and proportionate to the aim pursued. As noted in an earlier post (here), the ECtHR in Mann Singh v Franceaccepted restrictions on the right to manifest religion on the grounds of public safety without requiring evidence of the necessity of the restriction. In SAS v France, the ECtHR accepted the justification that ‘a State may find it essential to be able to identify individuals in order to prevent danger for the safety of persons and property and to combat identity fraud’ (para 139). However, although the restriction pursued a legitimate aim, the ECtHR did not find that it was necessary in a democratic society. In the absence of ‘a general threat to public safety’, the ECtHR found that a blanket ban was disproportionate (para 139). Consequently, the ECtHR again departed from its previous jurisprudence to exercise a higher level of scrutiny of the legitimacy of the restriction and the evidence needed for a blanket ban. This perhaps indicates recognition of the serious consequences of a blanket ban and the need for particularly weighty reasons to justify it. Consequently, after recognising that the restriction only impacted a relatively small number of Muslim women (para 145) and that the law was framed in a neutral manner (para 151), the ECtHR accepted that the practice of wearing the burqa or niqab was ‘deemed incompatible, in French society, with the ground rules of social communication and more broadly the requirements of “living together”’ (para 153). Therefore, the ‘burqa ban’ was proportionate to the aim pursued (para 157) and the applicant’s rights had not been violated. The concept of ‘living together’ used by France to justify the restriction placed on the religious manifestation of Muslim women pursues a distinctly assimilationist agenda. Although the ECtHR, throughout the judgment, reiterates that ‘pluralism, tolerance and broadmindedness are hallmarks of a “democratic society”’, the ECtHR’s conclusion that there is no violation of the applicant’s rights legitimises a law which eliminates pluralism from the social sphere and, thus, the associated intolerance against Muslims. Indeed, as stressed in the Dissenting opinion ‘… the blanket ban could be interpreted as a sign of selective pluralism and restricted tolerance … It has not sought to ensure tolerance between the vast majority and the small minority, but had prohibited what is seen as a cause of tension’(para 14). In sum, the decision is a distinct departure from the ECtHR’s jurisprudence in other cases concerning the rights of Muslim women to wear religious attire. The rejection of France’s justifications based on gender equality and public safety makes progress towards rectifying some of the criticisms of the ECtHR’s earlier decisions in this area. However, the recognition of the concept of ‘living together’ as a justifiable ground for the restriction of the right to manifest religion is cause for concern. The concept, which does not find expression in the ECHR, has been prioritised above ‘concrete individual rights guaranteed by the Convention’ (para 2 dissenting opinion). This introduces the risk that the majority will be permitted to dictate that minorities assimilate in order to ‘live together’ instead of pursuing the more integrationist aims of ‘pluralism, tolerance and broadmindedness’. Although the ECtHR has recognised the ‘risk of abuse’ of this concept, by affording France a wide margin of appreciation, the ECtHR has not heeded its own warning. The concept of ‘living together’ has the potential to proliferate into future judgments concerning the right to manifest religion, in a similar manner to the concept of secularism following the Sahin case (paras 115-16). As noted in an earlier post, the ECtHR must decide whether it is willing to protect the rights of Muslim women to manifest their religion. The addition of ‘living together’ to secularism, gender equality, public safety and the protection of children as permissible grounds of limitation in these cases gives little cause for optimism. What little remained of the right to manifest religion may just have been eroded. The author acted as a legal adviser for the applicant in the case of SAS v France. The opinions expressed in this post are the author’s own and do not necessarily represent the views of other members of the legal team. This is a good analysis but it failed to consider the phenomenon of perceiving the ECHR as a living instrument, the concept developed by the ECtHR, according to which the substance and content of the rights may be subject to the Court’s interpretation of the new social, political and even technological and scientific developments (see Tyrer v. the United Kingdom (application No. 5856/72). This is effect means that the system of precedent does not operate internationally. This, to me is a right position because once states, parties to the ECHR gave the power and substantive authority to the Court to rule on what may be “legitimate” objective or justification or a particular content of a right it is difficult to see how they can then complain about the Court’s capacity to make such determinations. I think therefore that analysing a decision from the perpsective: “it is a significant departure from earlier decisions” is not instrumental in assessing developments of the law. Many thanks for your comment. My assertion that SAS ‘is a significant departure from earlier decisions’ is an assessment of the way in which the Court dealt with France’s arguments in relation to gender equality and public safety, in addition to the introduction of the new concept of ‘living together’. The outcome itself, is not a significant departure from the Court’s previous jurisprudence. While the ECtHR is not bound by precedent, it does tend to ensure consistency and follow a similar line of reasoning in analogous judgments (Dahlab, Sahin, Dogru, Aktas for example). I don’t think the argument that the ECHR is a ‘living instrument’ explains the change in tack regarding gender equality or public safety. The primary difference between SAS and earlier decisions seems to be that the Court required evidence of the State’s assertions that the ban was necessary. ‘Living together’ is a concept that had not previously be raised before nor recognised by the Court. The recognition of the concept could be attributed to the ECHR being a ‘living instrument’. However, as noted by the oft cited dissenting judges in Feldbrugge v Netherlands, ‘[a]n evolutive interpretation allows variable and changing concepts already contained in the Convention to be construed in the light of modern-day conditions … but it does not allow entirely new concepts or spheres of application to be introduced into the Convention’ (dissenting opinion para 24). Additionally, in Winterwerp v Netherlands, the Court warned that restrictions on Convention rights should not be interpreted in such a way as to impair ‘the very essence of the right’ (para 60). I would argue that by accepting the French arguments in relation to ‘living together’ the ECtHR has permitted a new ‘vague’ concept to be added to the permissible grounds of restriction in article 9(2) ECHR. By allowing the States a wide discretion to interfere with matters of conscience, this concept risks undermining the ‘essence of the right’. Even when the State has a margin of appreciation, priority should still be afforded to rights rather than ill-defined concepts. As the wording of article 9 indicates, there is a right to freedom of religion or belief not a right to freedom from religion or belief. “Assessing the impact of the ECtHR on the development of the law by analysing the social and political conditions for new concepts or analysing the concepts themselves” what a lovely essay question for my students for the next academic year! I am asking for their verdict on this. I am starting to discern two distinct yet, in terms of substance and outcome closely related issues: first, the place of international courts’ judicial activism in domestic policy making and second, jurisprudential and technical development of the law. In other words, the nature and substance of powers the states parties want to give to the Court (in this instance to the ECtHR) and the ways in which the Court develops the law. I agree with you that creation of new concepts and subsequent rights or limitation of them is politically a thorny issue for many states. But this is inevitable outcome of states giving consent to this Court to do exactly that. The second issue is a bit more technical so to speak because it relates to strategies and mechanisms that the Court pursues in the development of the law (this issue refers to “living instrument”). But doesn’t our slight but healthy disagreement brilliantly demonstrate the value and wisdom of the ECtHR’s judgment in Handyside v UK (1976) 1 EHRR 737, in situations where public opinion may differ so much that particular weight should be given to public authorities’ determination on the necessity of a restriction? This (margin of appreciation) deals with the former point while the “living instrument” point, in the instant case the concept of “living together” deals with the latter – strategies adopted by the court. I am sure you would agree that it is legitimate in a democratic society to have debate about how best to protect gender equality, in the present analysis by banning or by allowing wearing veil? Many thanks. Just a quick reply, I agree that the margin of appreciation is a useful tool. However, I am concerned that it prevents the Court from exercising its supervisor duty in some instances when there is a clear need to do so (such as in the instance of a new and vague concept e.g. ‘living together’). Specifically, in this case, the Court was concerned that intolerance had marred the political debate but yet did not fully consider the legitimacy of the State’s assertion that the restriction was necessary for ‘living together’ because of the margin of appreciation. I have my doubts that public authorities can be trusted to protect the rights of (unpopular) minorities – and this of course, as the dissenting judges note, is the role of the Court: ‘it still remains the task of the Court to protect small minorities against disproportionate interferences’. As for your point about gender equality – I am not so sure about this. There is a presumption in relation to both the burqa and the hijab that they infringe gender equality. In the event that a woman is forced to wear either item this is obviously problematic but I think that a public debate which questions the agency of Muslim women to make a decision to wear either garment is equally unhelpful. It is people that infringe the rights of women not items of clothing. I also note that similar debates do not surround the agency of Sikh men to choose to wear the turban. EJIL: Talk! – S.A.S. v France: Living Together or Increased Social Division? Excellent piece. There is a sense of ‘One step forward, two steps back’ with this judgment, and it’ll be interesting to see whether the court’s reading of a ‘living together’ provision into ‘the protection of the rights and freedoms of others’ legitimate aim will become a standard state defence to claims of interference of Article 9. It certainly gives quite a wide scope for state justifications. One thing that I note wasn’t discussed much in the judgment was the incongruity between the idea that the law wasn’t specifically targeting religious manifestations, in spite of the discussions that accompanied the bill, and yet the punishment for contravening the ban included the possibility of having to take a citizenship course. It’s surprising that the court didn’t have more to say on this particular requirement. Thank you for your comment – I completely agree. The same argument can be made in relation to the gender equality justification for the law (even though it failed). The ECtHR found the neutral framing of the law to be significant (para 151), somewhat missing its discriminatory intention. How can this particular law be neutral and pursue gender equality?